Poor Megzie Gale. After years of chatter, directly from the clothes-horse’s mouth (ahem) included, seems Megan will no longer be donning the legendary gold bracelets, stars’n’stripes skimpy clobber, and that groovy lasso of truth – a personal favourite. 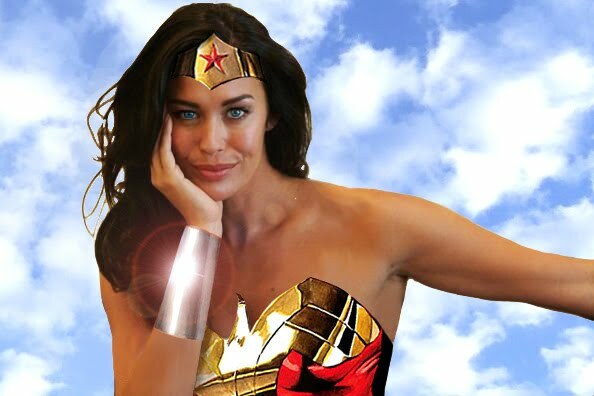 Much has been mentioned in the past 5 years of the model being in talks to play Wonder Woman on the big screen, but it seems Ben Affleck has beaten her to the punch! Or is that rope. I digress. Recent rumour is Ben Affleck is trying to direct (not play the lead in) a big budget version of Justice League. For those in the un-know, The Avengers with other Superheros. Starring Batman, Superman, Green Lantern and Wonder Woman, Justice League is a long running comic series begging to be adapted for today’s eager movie-goers with the truly amazing box office taking of this year’s The Avengers in particular. Not to forget the bounty that has been raked in from the likes of the Batman Trilogy and undoubtedly, 2013’s reboot of Superman – Man of Steel. Let’s forget about Green Lantern. But Gale is no longer attached to any project surrounding Wonder Woman. And considering her sad effort in 2010’s I Love You Too, I’m hardly surprised. Justice League looks to be around in 2015. It is inevitable. This entry was posted on Thursday, August 16th, 2012 at 6:23 am	and posted in Uncategorized. You can follow any responses to this entry through the RSS 2.0 feed.